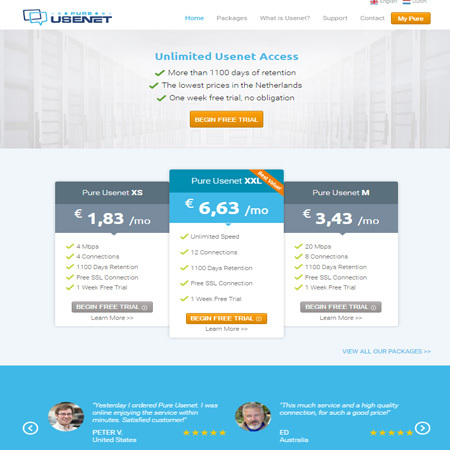 Fast Usenet has been providing fast, secure and reliable Usenet access for many years and has grown to become one of the better choices for Usenet service. 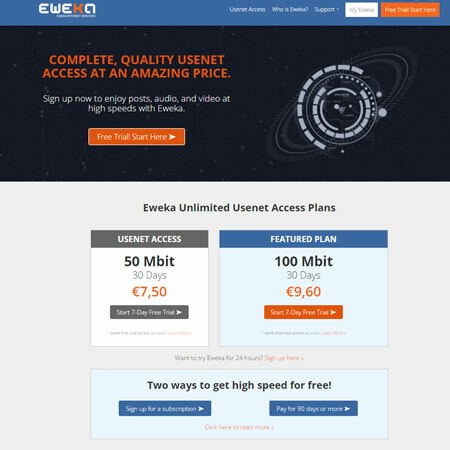 They offer unlimited and metered bandwidth packages. The unlimited package is only $9.95 per month. With their service you will receive a customized version of GrabIt newsreader with unlimited Usenet search. The search feature in GrabIt normally costs $25/year but is included with your membership. Fast Usenet offers a web browser and mobile phone gateway so you can easily access the newsgroups from your favorite browser or mobile device. 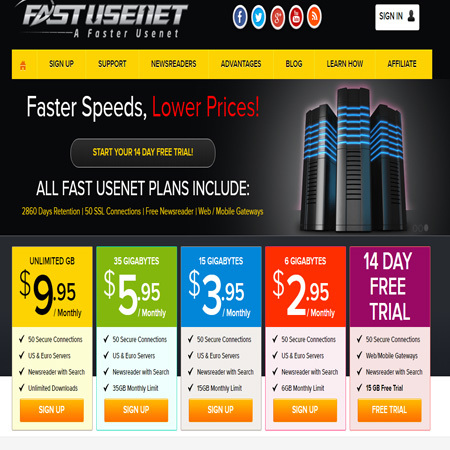 Fast Usenet offers all new members a 14 day 15GB free trial. 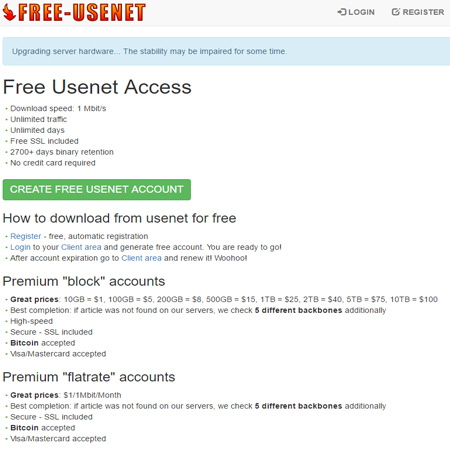 Fast Usenet offers a FREE trial of their services. Please be sure to check the terms and conditions of any trials. I've been with Fast Usenet for about 7 months. The service has been excellent. I've only needed technical support once and they had my problem fixed within an hour. I would highly recommend them. $9.95 for Unlimited isn't the cheapest, but it's close. I don't mind paying an extra dollar or two for excellent Usenet access!